If you’ve been looking for a way to cut the cord, two of the biggest players in the market are Tablo and HDHomeRun. TIVO is the other major player, but due to the cost I decided not to try them (significantly more expensive). 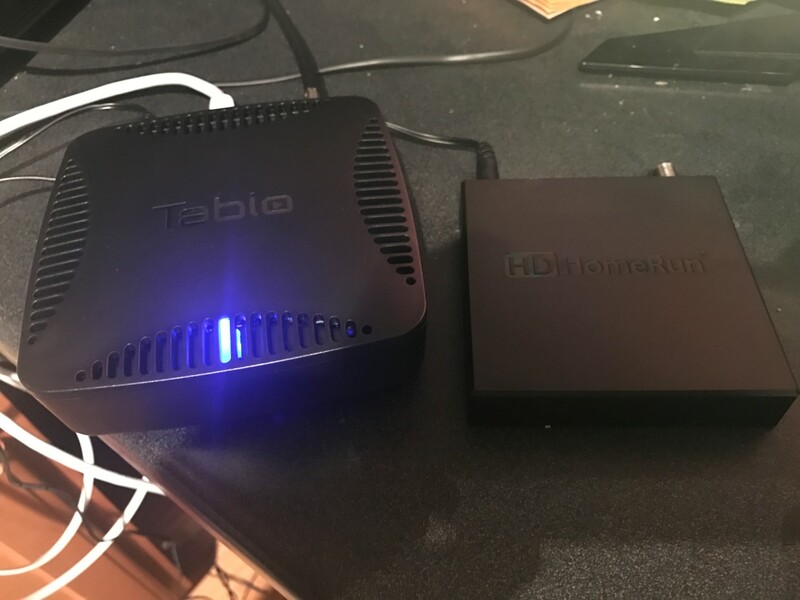 I first bought the HDHomeRun to try, then bought the Tablo after being initially underwhelmed by the HDHomeRun. More to the review below. At this point, I’m really excited. This was so easy so far. That’s when the issues started to happen. I moved to my first TV, an LG with WebOS installed. When I searched for the HDHomeRun app, I realized that it doesn’t exist for WebOS. Nor does it exist for the Roku’s I have for my TCL TV or external Roku box. The only things it worked on that I had were Xbox One’s, PS4’s, and computers, not the solution I was looking for. It doesn’t really do me much good to cut the cord to save money if I have to go buy an additional compatible media player for every TV. 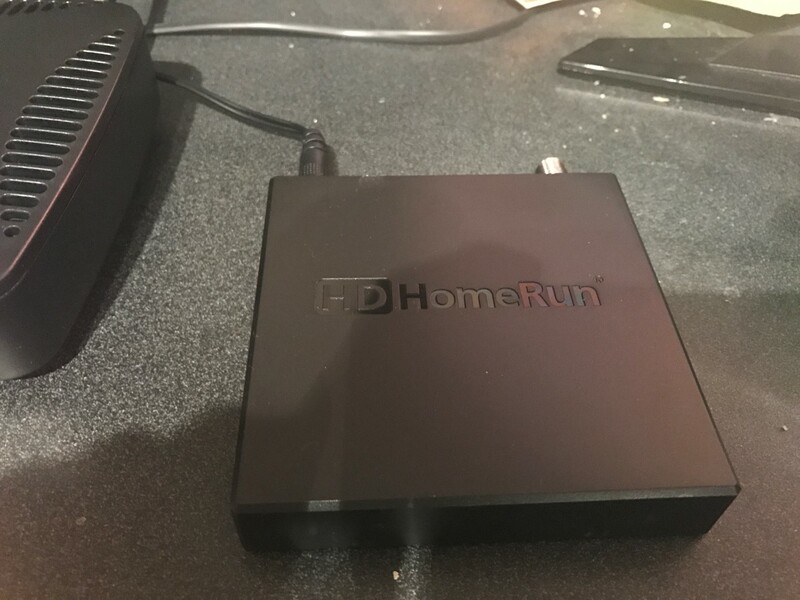 This frustration lead me to do a lot more research, as I was going with HDHomeRun initially due to all the positive reviews. I think if you had compatible TV’s with their app, it would be great. There is an option to use PLEX with the unit but it’s $4.99 a month as of this writing and evidently isn’t great according to the reviews (actually PLEX itself is great, it’s the live TV portion that’s not supposed to that great, at least as of now). After doing a bunch of research, I determined that Tablo and TIVO were the other two major options. Tivo was a lot more expensive than Tablo. Also Tablo had all the TV support I needed that the HDHomeRun didn’t have (WebOS, Roku, etc). Picked up the Tablo dual tuner and started my next journey of setting it up. They make a bunch of different models, honestly I wish I would have bought the one with DVR built in here. Once it launches, it takes anywhere from 10 seconds to a minute to connect and get everything ready. I’m not sure why there’s such a big variance in time, maybe it’s because of network usage in my house? In any case, it’s a little annoying but nothing too bad, just something you have to get used to. And honestly, it may just be my network, I have the Google Home 3 point Mesh Network. Most of the time the network work really well. Perhaps the bandwidth of the broadcasts it taxing it more than usual. Once you’ve selected a broadcast, you can use the remote to go to different channels. Note that the program you were on doesn’t continue when the channel menu comes up, so there’s no scrolling through the guide while watching unfortunately. Once you change channels though it works pretty well, changing pretty quickly with only an occasional hiccup in the first 15 to 30 seconds (buffering issue). Well for my personal situation, Tablo is easily the winner in the Table vs HDHomeRun battle. In fact HDHomeRun never even got out of the gate due to their poor support for various operating systems. I think that if HDHomeRun ever got their software support upgraded or perhaps if all of your TV’s have an OS that supports HDHomeRun, it might be a great option. It was certainly the one I’d heard about the most, which is why I went with it initially. 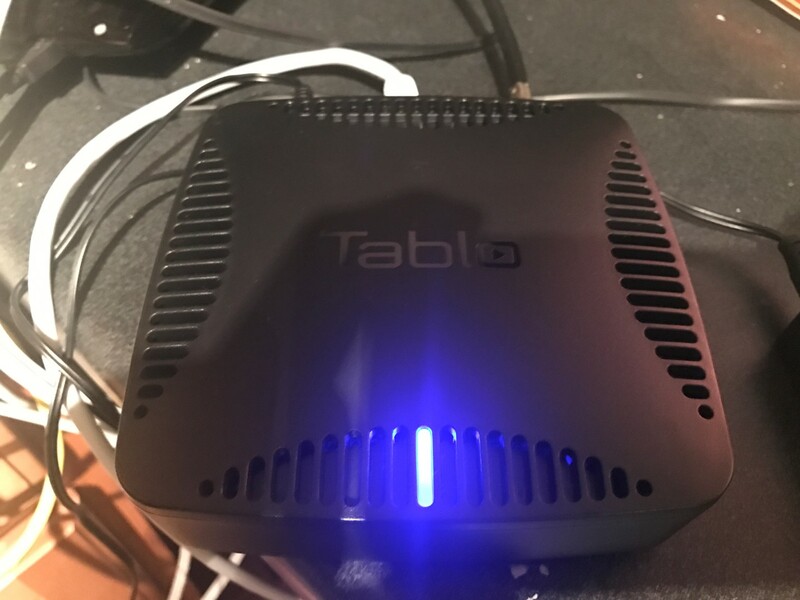 Tablo honestly I’d never heard of until I started researching after my HDHomeRun woes. TIVO I’d heard of a ton, but not Tablo. Tablo though is everything we needed it to be. Could it use a little work in timing and performance? For sure. But it accomplishes what you need it to do very well, just as long as you don’t like to switch channels during commercial breaks all the time. As a side note, I really liked the Terk antenna that came with the HDHomeRun bundle I bought. It seemed like it did a lot better job than the other antennas I had laying around that I’ve used in the past (rabbit ears, Christmas tree directional, etc). Ironically, I should note that it appeared like the Tablo got better reception than the HDHomeRun using that same Terk antenna, but I can’t 100% verify that. I just know that 2 of the channels on the HDHomeRun that were having reception issues didn’t appear to have issues on the Tablo for whatever reason.